Melt chocolate and coffee syrup in a double boiler over medium heat. Combine the cream and vanilla, whip until soft peaks form. Gently fold 1/4 of the whipped cream into the melted chocolate. When well blended, fold the remaining whipped cream into the chocolate. Pipe or spoon the mousse into dessert glasses and chill. 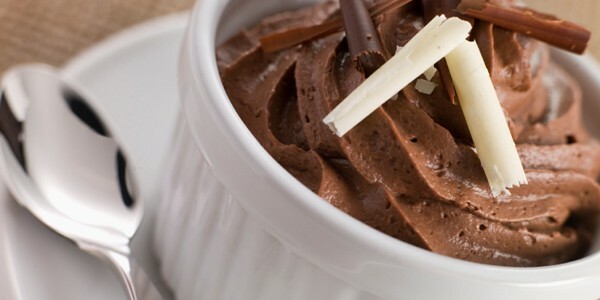 If desired, top the mousse with additional whipped cream and chocolate shavings and serve.